"Scientific Calculator" provides basic and advanced mathematical functions useful for school or college. 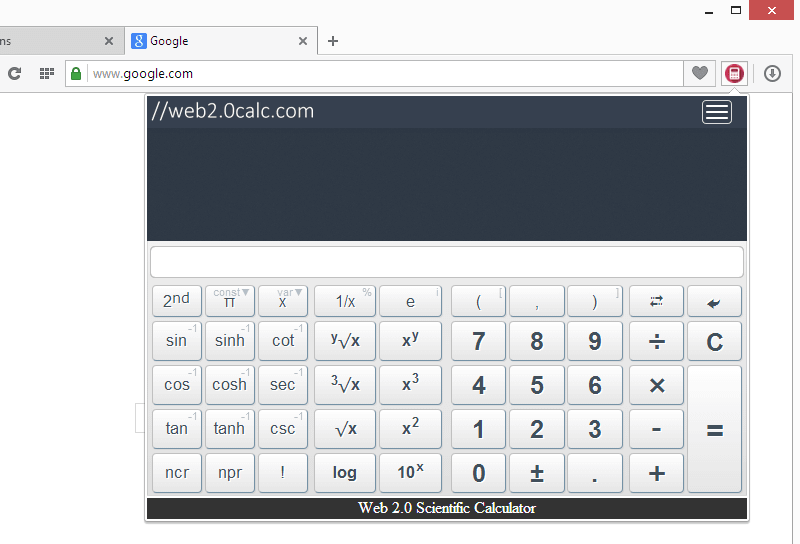 How to install Scientific Calculator in your Firefox? To install Scientific Calculator, head to Mozilla Store and click on "Add to Firefox" button. How to uninstall Scientific Calculator from your Firefox? To uninstall Scientific Calculator go to Firefox -> Add-ons -> Extension Name, then press Uninstall button.